Pit Stop Bar-B-Que & Grill, Inc.
Where the locals eat and the travelers always come back to! 11 a.m. until 9 p.m. Welcome to Pit Stop BBQ Online! Fresh and bursting with flavor is what Pit Stop Bar-B-Que & Grill has to offer. Serving the Tifton area, we provide great tasting food that's prepared fresh with the highest quality of ingredients. Treat yourself today with a tasty meal from our delicious menu. on our Daily Lunch Specials!! the great atmosphere, friendly service, and affordable prices. Take your taste buds on an unforgettable journey at Pit Stop Bar-B-Que & Grill!! According to Dave, "Pit Stop has the best BBQ from Canada to Florida!" Tell Us About A Recent Dining Experience!! 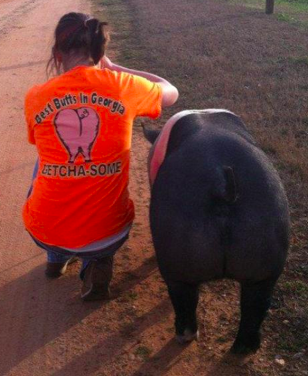 "Best Butts in Georgia...Getcha Some!"